Akram Zaatari, 28 Nights and a Poem (detail), 2006. Courtesy of the artist and Thomas Dane Gallery. Photographs are affected by their means of production, reproduction and distribution. The social and political economy in which they circulate, in turn, imbricates the very fabric and content of a photograph. In this extensive conversation with Akram Zaatari, these implications are explored and the ramifications for photography as an archival form are questioned. A member and co-founder of the Arab Image Foundation (AIF), a non-profit organization established in Beirut in 1997, Zaatari discusses the idea that the archival impulse has decontextualized original images by taking them out of their social and political economy, viewing the layers added to images through wear and tear as additions of meaning in the life of a photograph. The conflicting views of preservation versus archaeological, artistic, or anthropological imperatives are also discussed, within a dialogue that considers the changing nature of photography as a practice across the region and beyond. Anthony Downey: I’m going to start with a question about On Photography, People and Modern Times (2010). In your practice there seems to be a degree of scepticism about photography, a sense that perhaps photography is an inherently conservative medium that needs to become more aware of how it is involved in an economy of distribution and exchange. On Photography, People and Modern Times seems to be as much about exploring precisely that economy rather than the fact of the photograph itself – would you agree with that view? Akram Zaatari: On Photography, People and Modern Times was meant to juxtapose two lives and two worlds that photographs in the collection of the Arab Image Foundation experienced: once in the hands of their original owners and once in the custody of the AIF. This is where the idea of two screens comes from. On one of them, you see people talking about their pictures while holding them, touching them, and on the other screen you see them handled with gloves by a conservator. In this work I raise for the first time some kind of critique on the narrow understanding of photograph preservation, which considers photographs as objects isolated from social and emotional ties. I am indeed interested in the economy of the practice of photography but this interest comes out in different forms in other works, mainly through my work on the archive of Studio Shehrazade. I am interested in what a picture of a certain size used to cost, and how the photographer secured a living, and when and how he excelled and how he worked on maximizing his income. Economy in a studio is absolutely necessary to understand how photographs came to be what they are and how they are. It’s the spine and the driving force behind the practice. It’s why some studios stay open for more than 60 years, and sometimes a hundred years across several generations. Its continuity is secured with peoples’ need to have their pictures taken. Economy is what makes a studio and ensures its continuity and without understanding the economy of taking pictures one’s understanding of the archive of a photographic studio will be restricted to historical, social, cultural and aesthetic references and will therefore always be partial. However, my ill-feelings with photography are tied to my experience with the ‘institution’ of photography. By this, I mean the common understanding of what a photograph is. We forget that photographs existed for so many reasons in the twentieth century. They are descriptive documents, or records, and in so many instances they are only intermediate steps in a work process. The camera acted for a long time like a photocopy machine reproducing all sorts of documents, deeds, architectural plans, identification, and so on. More and more, the institutional understanding of photography wants to make out of every picture an authored text, which is a falsification of photography’s history. By institutional understanding, I mean a market-conscious understanding. AD: What about the fact of the photograph itself? AZ: What is a photograph? This is an essential question that still seeks an answer. A photograph cannot be reduced to paper, emulsion and silver particles. A photograph is the shortest statement that one can spend time with and can try to understand and reflect upon over and over. It cannot only be made with emulsion and paper. The photography institutions in most cases failed to see photography as a type of recording that could trigger a set of emotions in very unpredictable ways. A photograph is still enigmatic even when we know everything about it. It will still be able to surprise us, to make us cry, over generations. When we are able to consider every recording that is capable of reproducing emotions as photographs, then we should be able to consider film, performance and any act of leaving a trace as photography. It’s really the glorification of every picture as an object, as a sacred object that needs to be preserved in a specific and generic way in a clinical environment, almost for eternity, that I question. I think one of the major changes that happened in my experience with the AIF, is that today scanning technology allows us to reproduce images for the sake of studying them or circulating them and sharing them with others. I don’t think we need the originals, frankly, to do that. I think originals mean something else once they are in the original set-up in which they existed: in a closet, in a bedroom in which they were born, or in which they were kept, near the persons that loved them and cared for them, near the persons that recognized in them the faces of beloved family or friends. The preservation of a photograph as an artwork is conceptually different from the preservation of a photograph that is still anchored in its social fabric like one of a child kept by a mother, for example. The world of preservation as a scientific endeavour suits more works that have been announced as authored work (artworks), made specifically to be preserved because they contain an authored statement produced in a certain form for the public so as to be seen and consumed by a general public, which therefore expects that kind of scientific preservation. I do not mind that people damage their pictures. By damaging something photographic in a picture, one might be preserving something else; a non-photographic element maybe in the realm of emotions. I would even say in some situations, destroying a picture could be a preservation necessity. This is also something that changed a lot within me since 1997; I think my attitudes to photographic preservation changed, because today I do not see a danger in photographs staying with their owners, if they prefer that. If you spill a little bit of hot tea on a picture you might damage the print, but you give the picture another layer of life. I like it when I see pictures that have been through life. I like it when children sometimes play with pictures and make holes in the eyes of people they dislike in a picture, for example. Pictures are elements in our lives and there shall be no canon that imposes behaviour blindly over the handling of photography, especially at home. From a generic preservation perspective, this is damage caused to a picture, but from the point of view of an archaeologist, artist, or anthropologist interested in the life of pictures, I think the picture acquires different meanings once it has been handled by people who relate to it and leave their marks on it. AD: This is interesting, because when I said photography was a conservative medium, I think I was aiming towards this notion of the fetishization of the original as problematic, because it enters into an economy of value which is capital-based, as you point out. But there seems to be also a sense that the archival impulse has decontextualized a lot of the original images – taken them out of their social and political economy and moved them into perhaps more of an archival/market economy? AZ: It depends on how you look at the archive. I always argue that if you want to call the AIF an archive, it’s an archive of the collecting practices that happened in the foundation from 1997 until this day, rather than an archive of photographic practices that come from different parts of the Arab world. I think the foundation owns an authored collection because it’s a collection that was created by a few people – artists – with a lot of subjectivities, with desires, and I do not call it an archive. If you want to call it an archive because it is a sediment, I’m fine with that, but it’s the archive of collecting practices that needed an organization to exist and that made the foundation, so the AIF is a record of how a few artists have developed a collecting practice because they needed a platform, and it’s that collecting practice that was exercised and which evolved within the foundation that led to this collection. I’m talking here about terminology. AD: I think that distinction is valid one, because this seems to be less about an Archive – with a capital A – and more an archive of practice and collecting. AZ: It adds to the precision of distinguishing different types of organizations withholding collections. A newspaper is an archive of press photographic practices, the AIF is not an archive of photographic practices! And when we think of the nuances in terms, we realize we need to be more creative with terms.Terminology helps us to view AIF in a more precise way. You mentioned something else, which is also very important: about taking pictures into a different economy, which is of course very true, especially in the Madani project. Once you make art with documents, you displace them from around you into an art economy. This is inevitable; when you study anything, even as a scientist, you are doing the same. When you take a drop of blood from a cist and put it under a microscope, you are already doing that displacement, because you are isolating it from its original function to study it. As someone studying a photograph, whether researcher or researcher/artist, your purpose is different from that of the photographer who took the pictures. As a documentary filmmaker, working sometimes on heated subjects, I’ve come to realize that it’s only possible to talk about conflicts once they cool down, once conflicts aren’t conflicts anymore. Economically it’s only possible to displace an artefact from one economy into another once the first economy has died already. In other terms, taking Hashem el-Madani as an example, had the studio been an active studio today, had the economy of photography still been active today, Madani would not let me take one negative out of his archive. I can only lead my excavation or my study of his study because his economy has died. So the death of his economy made my project possible, and part of the project’s mission is to show pictures and narrate his practice. But it is also about finding new ways for pictures to exist in this world outside the small circle of family and friends and find a new economy for a photographer to benefit from. Now Madani can live by allowing the displacement of his pictures into an art project where he is the photographer, the subject of my study. He is the subject of the study of an artist, an artist who is building over his archive some kind of documentary project in the art world. I am the artist. He is the photographer. He is the subject of my work. I start my work at the same place where he stopped his. This complicates the perception and reception of the project a little bit because there are two authors: the original author of the photograph, and the author of the artwork. There are two dates; on the one hand, the date when the photograph was taken, and the date when the artwork that used the photographs was created. It has become a project that sits on an existing archive, which uses that archive in order to understand choices that were made by this photographer and the attitudes that people had in front of this photographer. AD: Two key ideas seem to emerge in relation to your practice: it tends to look at the apparatus of photographic method while equally considering this idea of ‘excavating’. Could you talk a little bit more about this idea of excavating in relation to Hashem el-Madani’s studio, how you came to find that studio and what that process involved? 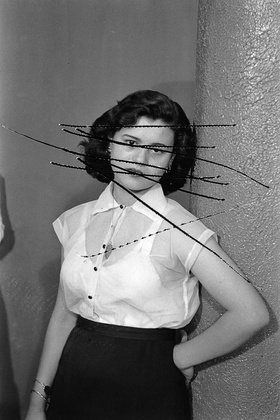 Akram Zaatari, Damaged Negatives: Scratched Portrait of Mrs. Baqari, 2012. Inkjet print. Made from 35mm scratched negative from the Hashem el-Madani archive. 180 x 120 cm. 70 7/8 x 47 1/4 in. Edition of 5 + 2AP. Courtesy the artist and Thomas Dane Gallery. AZ: The Madani project started in 1999, so now it’s been 15 years – it’s amazing! When I encountered Madani I was, let’s say, still trying to understand the landscape of photography around me. My intention was to collect a few pictures from his studio for a project I was doing about the vehicle,and the images of vehicles in photographs from the 50s particularly. So I used to look at his negatives and if I liked a few pictures I would discuss it with him; either he’d give me all of the contents of a 35mm roll to take to the AIF, or sometimes I’d cut a few frames, so I’d cut the negative roll in half or sometimes in a third, and I would take a third of a roll, because that’s the scope with which I worked. And then a few years later I realized I was actually doing damage! The idea is not to take a few pictures out of this archive, but to keep that archive intact, intact with all the ties that exist within it, and all the links that exist in it. Every photographer has devised ways of looking into his archive, and very often this depends on the year of production. It is also dependent on how important his client is, how often a client orders pictures. I’m interested in how Madani took decisions and led his practice: how he led his economy, what did he do to maximize economy, what he did to develop a signature that is different from other photographers working in town. So I wanted to have all the information possible about the practice of the job of taking pictures – what you call the apparatus. I was interested to know everything about that apparatus, and how it mixed with people’s attitudes facing the camera, because also I don’t think there is such thing as Arab photography or Lebanese photography or Egyptian photography. There’s an economy that produced photographers alike all over the world. But what sometimes changed are the economics. Photographers who work in highly touristic places tend to produce pictures that are alike, whether at the pyramids in Cairo or whether it’s in Jerusalem. So there are no identity issues here at stake in the making of a picture. It’s all economy, and it’s all a mode of production. This is what I’d call apparatus. Part of my interest in studying photography is to understand how this apparatus functions. There are social layers of course – attitudes change. There are social attitudes as well, the most common in a socially conservative society being the veil. Photography is there to describe, but what if people do not want to be described; do not want to go public? Is there a conflict there or not? There are a lot of interesting anecdotes of women coming to a photographer and refusing to remove their veil, for example. And the photographer would say: why do you want me to take a picture of you hiding? Of course that happened a lot in the early days of photography, it took people some time to understand that it’s inevitable to face this descriptive apparatus that is imposed by the state. When you have an ID you have to have your face on that ID. It’s an important event when people submitted to the power of the state, by accepting that even if a woman is veiled, once she goes to the photographer it’s like going to a medical doctor, you have to uncover yourself. Some people preferred going to women photographers to take pictures, but sometimes women didn’t mind going to a male photographer, whether accompanied by a brother or husband or alone, and uncovering their face for the photographer. What this meant, was that sometimes the apparatus was twisted by social attitudes, by norms, by traditions, and this is why sometimes you find specificities produced in certain cities or in certain social conditions. AD: This seems to recontextualize the idea of economy as a performative element, a sense that photography is a performance, with public and private demands made upon it. AZ: Photography is indeed performed – we are talking about vernacular photography, in other terms we are talking about an apparatus where people come to the photographer wanting him to help them make a picture of themselves. It’s this apparatus mixed with all those social attitudes that produced something almost unique in every city, but there’s a common denominator for all of them, which is photography, the way it was promoted by Kodak, and every brand, through brochures, through knowledge, through photographers teaching each other. They all taught each other the same poses, the same tricks, and this is why photography in the 50s everywhere in the world looks almost the same. The differences are slight specificities of attitudes and economics. Akram Zaatari, On Photography People and Modern Times. Installation shots. Credit Thierry Bal. Courtesy the artist and Thomas Dane Gallery. AD: You’ve alighted upon something I think we should engage with now – that there’s no such thing as Egyptian photography or Lebanese photography, with which I agree, but there seems to have been a change in attitude towards the photograph across the Middle East. I was just wondering if you had any thoughts on that: on the changing nature of photography as a practice across the region, and if there’s anything specific that you have seen change during that time? AZ: Of course, but it is not only about the move from analogue to digital. I think the first change happened with colour photography. The invention of colour photography took away from photographers and local studios half of their economy, because the income of the photographer was made with the actual taking of the picture, and another fragment of his income came from developing and printing those pictures. So once he had to delegate half of his work to a lab because photographers did not have the necessary equipment to develop colour negatives and to print in colour, they had to delegate this, subcontract it, so the lab ate half of their income, because the lab also wanted to make money doing this job. What they were left with is only the fragment of income that’s about taking the picture and acting like a mediator between the lab and the customer. So that already killed half of their economy. Most photographers get very angry when you ask them about black and white and colour, and they praise black and white only because – in their minds – colour processing took away half of their income. The second invention of course is digital photography, but I think before digital photography the abundance with which cameras – personal cameras – were produced and distributed, and how cheap they became in the 80s and 90s, made people go to photographers less and less. In the 90s already, before the spreading of digital photography, every house had one, two or three small film cameras – not digital, but analogue. So that already contributed to the decline of the job of the photographer. Now with digital photography, everything is transformed, because you don’t need to even print anymore. You consume your pictures on your telephone, on your computer screen and in various forms that are not printed. AD: That’s interesting – just to comment upon that: the aesthetic development from black and white to colour having a direct economic impact is quite interesting in and of itself, because what we have here is a clear correlation between an aesthetic and an economic practice. AZ: Yes, that would seem to be a fair comment. AD: I’d like to move the discussion to another associated element in your work and discuss the role of narrative and temporality. There seems to be a narrative development, a process that seems to be built around exploring different levels of time. Could you talk a little bit about that in relation to In this House (2005)? This was a work which, to my mind, looked at the apparatus involved in producing knowledge, producing imagery, and I’m wondering if you’ve thought of that in terms of narrative, in terms of telling a story, or indeed in terms of problematizing a narrative? AZ: In This House is on one hand an excavation – a literal excavation. When I say I take the whole archive of Hashem el-Madani as a site for an excavation, I talk about it metaphorically. But in this film, In This House, all of a sudden I found myself looking for a document, trying to get hold of it, and at the same time doing an excavation, literally, in someone’s garden. I had to hire a gardener to dig up a big hole as if I were really doing an archaeological excavation. This is why this image of a man digging has become emblematic of an aspect in my work: the excavation. Akram Zaatari, Two Boys posing with Gevaert Film Advertisement, 2007. Series of 6 silver prints. 22 x 15 cm. 8 5/8 x 5 7/8 in. Edition of 5 + 2AP. Courtesy the artist and Thomas Dane Gallery. Another layer, maybe in the same work and in every work, is performance, because In This House as an idea – looking for that document – is a performance in living. It’s an intervention in the life of a family somewhere in South Lebanon: you have a house and a garden, and all of sudden someone comes to you, knocks on your door and tells you: ‘I have a story to tell you. There is a letter left for you in your own garden and excuse me, please allow me to dig and deliver the letter to you!’ This is exactly what happened. For me, it’s a performance as much as it is about looking for a document or about the writing of history. At the end of the performance, the garden has changed, the family has changed; the family knows something it didn’t know before I came to knock at the door. The garden is left without a document that earth carried for 11 years. So many things changed in that house after I did my work. Whether it ends up in a film or not is beside the point. I happened to have a camera with me to record everything; what I produced wasn’t a film, but a performance that was recorded and made as a film a few years later. AD: You were talking earlier about resituating photographs back into their socio-political contexts and there seems to be something similar happening here in as much as you attempt to resituate or reposition that original note that was buried back into a context where it could be understood. AZ: In This House aimed to deliver a letter written in 1991 by a former member of the Lebanese resistance, addressed to people that he did not know, people who had fled their house. He happened to have occupied their house with his military group for six years. He didn’t know who they were. He wanted to leave them a note before withdrawing from the area in 1991, so he wrote a letter and he buried it in their garden. And he never returned to meet them. AD: And this was Ali Hashisho? AD: How did you meet him? AZ: I was interested in the documents that people in my generation could have kept from the time of the Israeli invasion of 1982, and my friend Roy Samaha told me that Hashisho would have stories to tell. Today, Ali Hashisho is a press photographer, but I learnt from him later that he used to be in the Lebanese resistance, and had actively engaged in fighting the Israeli occupation of South Lebanon in the late 80s. So I thought I should meet him. I was sure he’d have stories to tell me. He told me many stories and at the end he said, ‘yes this thing that I did maybe could be of interest to you.’ From there on I got in touch with the family, following a map he had drawn for me, and I went looking for this object. I was not sure I was going to find it; there was a big chance someone else could have dug in the garden, found it, and thrown it away without knowing there was a letter in it. After all, it’s a remnant of ammunition, and the area was full of them in the 90s. I started my research and with this work I delivered a letter first, and then I contributed to the writing of some kind of history. It’s a history that had dropped out completely from historical narratives about that period. Anyway, the story is a detail in the writing of history, but I’m interested in the details frankly more than the headlines. From that perspective, what I did here is not far from what I did with some of Madani’s pictures in the old city in Saida, There, I gave people back their pictures taken 40 or 50 years earlier. I gathered all the pictures taken of shops in certain locations – within the souk, the old market – and I looked for their locations and tried to negotiate with whoever was in that location to hang the picture in his shop. It was often a difficult but a really interesting negotiation, just for the fact of bringing a picture back to the location where it was taken. We refer to photography as ‘taking’ pictures when you actually click the button, so I thought it’s interesting to inverse that gesture and say let’s bring pictures back somewhere, and see what that would mean. In the same logic, I asked myself what would it be to reverse the act of excavating Ali Hashisho’s letter? The answer would be something like the Time Capsule (2012) that I did for dOCUMENTA (13): another excavation that aims to bury an object as opposed to take an object out. I realized that very often, I like to go on the same path in reverse directions. AD: With In the House there’s a literal excavation, with Time Capsule there’s something buried. In both works there is this anachronism – something that’s out of time, something that’s not quite right, or not quite in its time. I wonder if the word ‘anachronism’ means much to you in terms of your practice, thinking about how this excavation and exploration of something is out of time, and that has been resituated in time? AZ: Much of my work is made with time. Negatives are subject to erosion, so they’re made with dust, local fungus, and, in the case of Madani’s studio images, humidity in Saida. That’s what changed the bodies of the negatives, changed the emulsion and with that the look of the pictures, in a very unpredictable way. I’m interested in what time produces, and this is why you find the word ‘time’ appears very often in my work: theTime Capsule, The End of Time (2012). I like to play with the idea of time because it’s a medium with which to produce work. Frankly, in a very simplified way, exposure time is time as well; the time with which we expose a negative, the time with which we expose a print under an enlarger, and the time it takes you to produce films. Film is time-based work: it is produced with time. I started to reflect on longer time to produce work, and the time capsule that I did was inspired by the time capsule Ali Hashisho made spontaneously without calling it a time capsule. Yet, he produced it for time and with time. So when I excavated it, it was authored by Ali Hashisho and time. Then there was the time we needed for the Israelis to withdraw from Lebanon completely in 2000. It was buried at in different times: when the Israelis were still occupying and the Lebanese secular resistance was still active. Time is capable of changing so many things; it will also change our understanding of documents coming from different times. This is why I’m saying time is an active element in the making of work. AD: I wanted to take everything we’ve been talking about – the notion of apparatus, excavation, economies of meaning, this sense of repositioning the photograph within socio-political contexts – and I wanted to talk a little bit about Letter to a Refusing Pilot (2013)  which was premiered in Venice in 2013. It seems to me that it’s a culmination of many different ways in which you work as an artist. I was hoping you could talk a little bit more about it – how it came into place, what interested you in the story – because I know it was a very personal story to begin with. I also wanted to ask how that particular project unfolded over time. AZ: The project is rooted in a rumour that spread in Saida in 1982 and reached my family a few months after the Israeli invasion of Lebanon. The rumour said that there’s an Israeli pilot who refused to bomb the school that my father had headed for a long time, the public school near Ain al-Helweh. This story stayed in the family, cousins know it, many people in Saida know it, but we all considered it a rumour. We didn’t have a name for the pilot, we didn’t have clear reasons why he refused, but it was a rumour that circulated. I was shocked, I was really shocked – it felt like meeting Ali Hashisho for the first time. I thought: I have to do something about it. A few months later when I was invited to Venice, I said that’s the only place where I want this story to be told. I wanted to say it under a national umbrella. I wanted to be the spokesperson of the Lebanon pavilion and to tell a human story, to tell a story of an encounter between two people that normally would not meet: one of them is in a military jet in the sky bombing the earth, and the other is a person is on earth. So, I pursued and pursued until I met Ali Hashisho, talked to him, convinced him to allow me to talk about his story and to describe his pictures. The film singles out an individual facing a war machine, an individual active in a war and who, at some point, said no. He said no because he faced an ethical question; he was sure the orders he received were illegal as the target was clearly a school or a hospital, so he exercised his right to refuse orders and the target was bombed by someone else later. Hagai studied architecture after leaving the army in 1973. So he could recognize that the building was not a military building. The school sits in the middle of a large housing project designed by French architect Michel Ecochard called the Taamir Project near Ain el-Helweh. It’s not important who bombed the school later as it’s someone who simply executed orders. It’s not important whether there was gunfire coming from around the school or not. What counts for me today is how to narrate such a story. I decided to use Albert Camus in my story, especially his ‘Letters to A German Friend’ because Camus spoke about choosing justice as a way of being faithful to the world. For me, it’s a story of a pilot who chose justice and that turned him human. In the Israeli military, this is really an insignificant detail. But in the writing of history, it’s not. Stories like these are the only stories that give hope in a region that is facing a dark future today. On Photography, People and Modern Times (2010) is an installation that tells the stories behind photographic records that Zaatari researched and collected for the Arab Image Foundation in the late nineties. Comprised of a two-channel synchronized HD projection (38 minutes and 43 seconds), it questions some of the conventions of photographic preservation, and evokes some of the emotions that ties photographs to their owners while commenting on their loneliness aging. 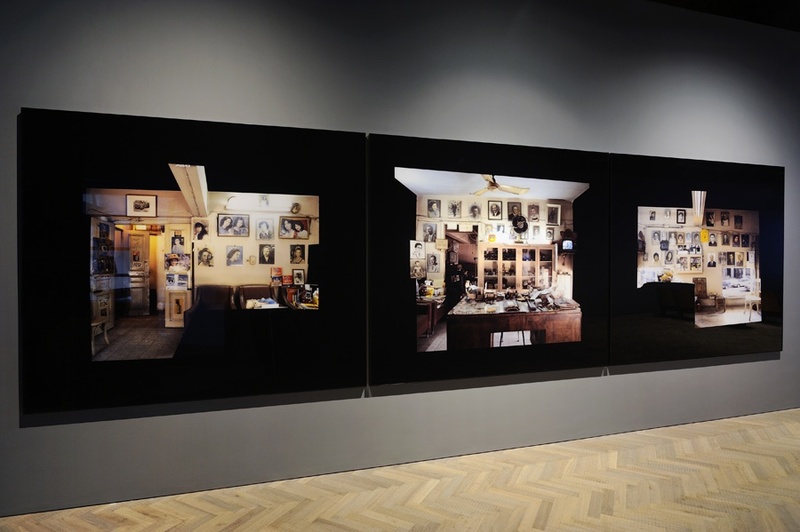 On Photography, People and Modern Times is currently showing at the Thomas Dane Gallery, 27 November 2013–1 February 2014. Hashem el-Madani: Studio Practices is part of a project by Akram Zaatari in which he carefully examines the photos taken by Lebanese studio photographer Hashem el-Madani. 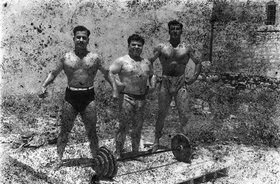 The portraits were shot by Madani in his studio Shehrazade and in the surrounding urban area of Saida between 1953 and the 1970s. The studio situation gave Madani more leeway to catch people off guard in staged ‘intimate’ moments, and to create something of a ‘collective physiognomy’ of the city of Saida. Time Capsule was a project commissioned by dOCUMENTA (13). At the break of the civil war in Lebanon in 1975, the National Museum in Beirut sealed most of its collections of archaeological objects and artefacts inside huge concrete blocks that remained onsite in the museum’s main hall until the end of the war in 1991. 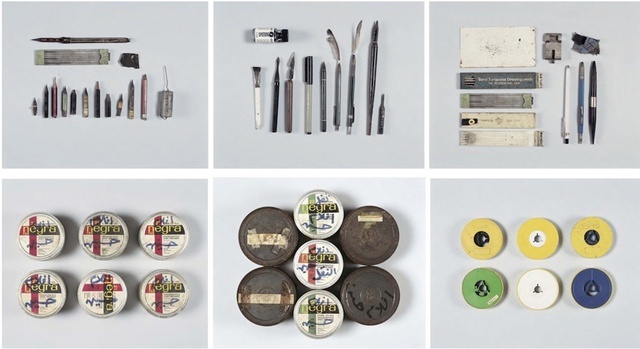 Inspired by this move, the Time Capsule project imagines scripts/models for radical preservation designed for the Arab Image Foundation in Beirut; models that consider non-scientific paradigms to rethink photograph preservation while recognizing the necessity of timely withdrawal of documents and artefacts at times of great risks. In Akram Zaatari’s Letter to a Refusing Pilot (2013) the artist narrates, through the often uncanny filter of half-remembered events that blur of fact and fiction, an incident that did not occur during the Israeli invasion of Lebanon in 1982. Inspired in part by Albert Camus’ essay ‘Letters to a German Friend’, Zaatari’s video relates the tale of Israeli pilot Hagai Tamir who, in June 1982, found himself in a plane above the city of Saida – 40 kilometres south of Beirut – with orders to bomb a building he knew to be a school. Tamir disobeyed the command to bomb the school and the story of this pilot who refused remained a mythological one for many years until Zaatari, whose father had been director of the same school for 20 years, found out that the apparent fiction was indeed real. Using family photographs, one of which shows the artist as a child in the gardens of the school, video stills, re-enactments of certain events (the flying of paper planes from rooftops), and aerial photographs, Zaatari recreates a tale that attempts to give substance to the narratives of civil conflict that would appear to actively resist historical representation. Zaatari, Akram. “Photography as Apparatus:Akram Zaatari in Conversation with Anthony Downey.” Interview by Anthony Downey. Ibraaz. Ibraaz, 28 Jan. 2014.